So, I’ve tried to write that blog post before but it ended up taking so long and I wasn’t satisfied with the content. 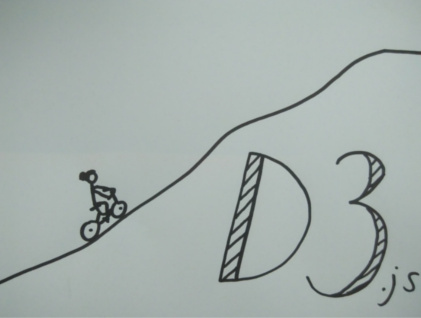 I think it induced a frustration that is a reflection of my relationship with D3. Let’s focus on the first step of my plan for now! For the sake of lazyness (and time efficiency) I’m not going to reinvent the wheel. (I think that’s also where I’ve had troubles before.) Luckily Patrick, Data Visualization Stockholm co-organiser, mentioned Block builder which let’s you create a new Block or search other people’s Blocks and fork them as a gist and modify them. You can search for other’s Blocks which I did. I searched for a “bar chart” done by “mbostock” because Mike Bostock is D3’s creator and I assume his code to follow the best practices. Here’s a link to the Block I wished to reuse. On the Block builder platform, if/once you’re logged in to your Github account, you can just fork the project and a forked Block will be opened in a Block editor. Behind the scene (because you gave the app access to your Github account) it also creates a new gist, and each time you save the project in Block builder this gist is updated. There are very little changes to my block compared to the original one. I just expect to work mostly from CSV files, so I created a test data CSV and use the D3 function d3.csv to load the data. I’m reusing most of the code as I’m still creating rectangular bars. I changed the colours, removed the “%” on the y axis in the html file and edited the Readme for it to be informative as to what I did, what’s the aim and how the template can be used. So this is actually an improved template after a first test. In the section showed above, a new project would include a new CSV file, with different column names for the data to be visualised and different labels for the axes. The label for the x-axis can also easily be adjusted. 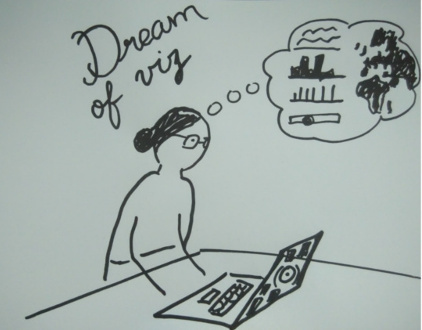 Something more crucial to the visualisation is the potential need to transform the data that can be done with the two functions transformXdata and transformYdata. In the case of the test data, the values have to be converted to numbers. The template is supposed to be as generic as possible and I plan to add to it as I go along. For now let’s see if I can reuse it with a simple dataset of temperatures. You might neither know nor care, but May 2018 was the warmest May ever recorded in Sweden where I live. I looked up the temperatures for each day of May 2018 on this website . 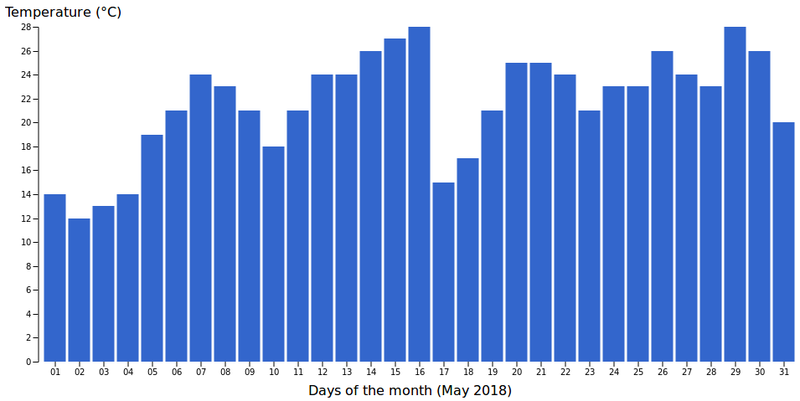 I then created a bar chart of the maximal temperatures (in Celsius degrees) in Stockholm throughout May 2018. Not bad! I updated the info in the customise section including a transformation of the x-axis data (dates). The full dates had the x-axis all cluttered up so I only kept the day, which is enough to understand the chart. 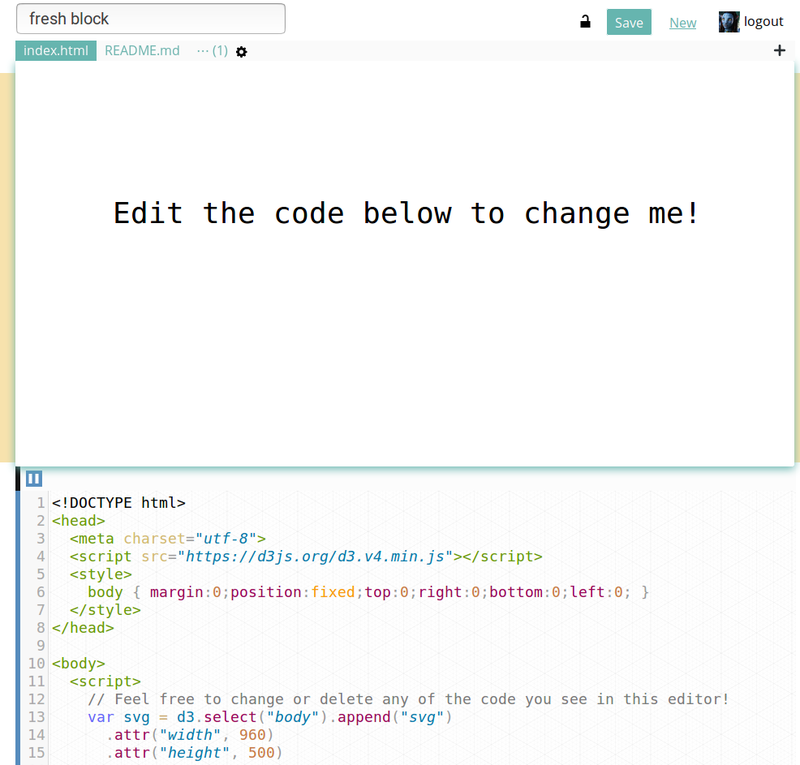 Gists are an easy way to create and share files on Gihub and Bl.ocks are a cool project to visualise code from gists! Note: Sorry, but I used Block throughout the post as it’s easier to type than Bl.ock. One data point seemed really high (40C) so I used the temperature from Dark Sky instead.